It will be the first division in the country to use this surveillance technique. With increasing incidents of railway accidents, the Pune railway division is taking a very futuristic and out of the box measure to ensure safety. Soon 2 new drone cameras will be deployed to keep a watch on the railway tracks and stations in the Pune Railway Division, making it the first division in the country to use this surveillance technique.Recent incidents of derailment and other railway accidents have sparked this decision, and the first trial runs for these cameras will take place next week. “Initially, we will buy just two drones at an approximate budget of Rs 40 lakh. They will be high-quality machines to record videos and take pictures at a certain distance above ground level. It will help us get real-time videos and photos if incidents like derailment, accidents, illegal track crossing, passengers’ stunts (especially on Pune–Lonavala local train routes), track maintenance work, law and order situations and encroachments on railway property take place. Next week, we will conduct trial runs for the drone cameras, keeping one at Pune railway station and the other at Miraj railway station to cover nearby areas,” he added. The Maharashtra Express train derailed at Pune railway station during its night trip, in October last year; incidents of youths carrying out stunts have also been observed on Pune- Lonavala locals. 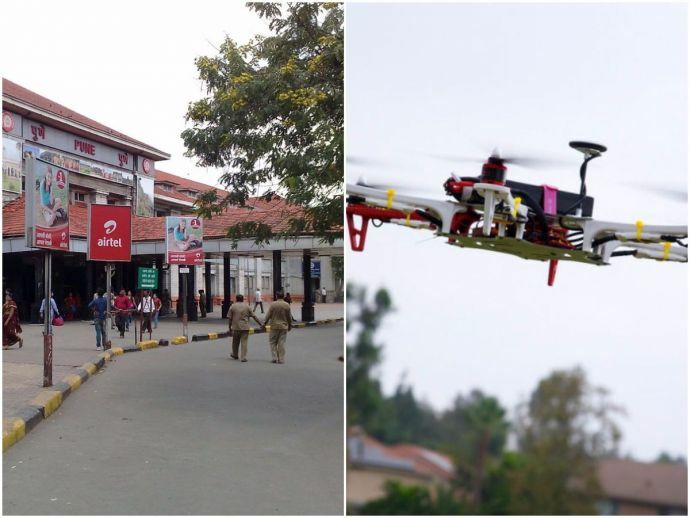 While the RPF is alert and takes continual actions against trespassers, it can only cover a limited area; whereas the drones can cover larger areas more efficiently. The commuters have welcomed this safety initiative. "In the last 20 years, I have witnessed a number of accidents on this route, mostly when passengers are hit by stones thrown from the outside. There have also been issues of trains getting stuck along the route due to technical or other occasions — if this happens at a lonely spot now, the drones will help capture the exact location and help officials reach hapless passengers in case of an emergency," shared Prashant Sharma, a daily commuter who travels to and from Lonavala. Initially, the Pune Railway Division is planning to buy only 2 drones. Two trial runs would be conducted from next week, one at the Pune Railway Station and the second at the Miraj Railway Station in order to cover nearby areas.